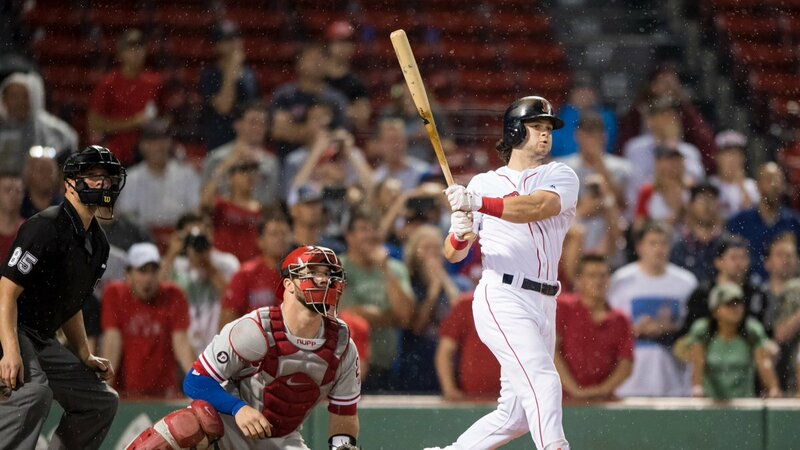 Andrew Benintendi's first career walk-off hit in the bottom of the twelfth inning lifted the Red Sox to a 4-3 win over the Phillies Tuesday night at Fenway Park. Benintendi (pictured), who also threw out the potential go-ahead run at the plate in the top of the eighth inning, had three hits in the victory. 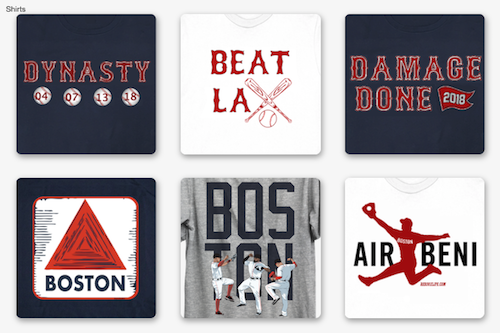 David Price started for Boston going six innings in the no-decision. He was charged with three runs on four hits and four walks while striking out. 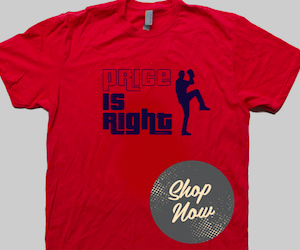 Price had some control issues, walking the leadoff batter in three innings. He threw just 63 of his 103 pitches for strikes. The Red Sox scored single runs in each of the first three innings and had a 3-2 lead until the top of the sixth when Michael Saunders drove in the tying run with a ground out. Fernando Abad was the winner in relief with two scoreless innings. Xander Bogaerts had three hits for the Red Sox; Dustin Pedroia, Mitch Moreland, Jackie Bradley, Jr. and Christian Vazquez each had two.